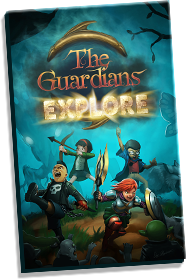 This is a PDF of the rulebook found in each box of The Guardians: Explore. The Guardians takes place over two chapters: Warm Up and Battle. Players begin their Warm Up with a card draft that shapes their strategy for the battle to come. 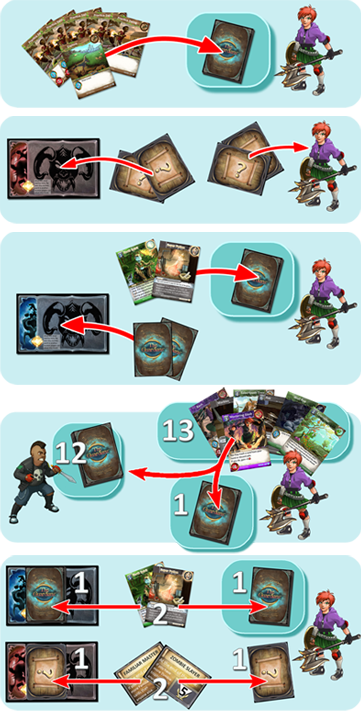 A unique super card is selected in secret to give each player their own special strength. Also, a unique mission is selected in secret providing goals. 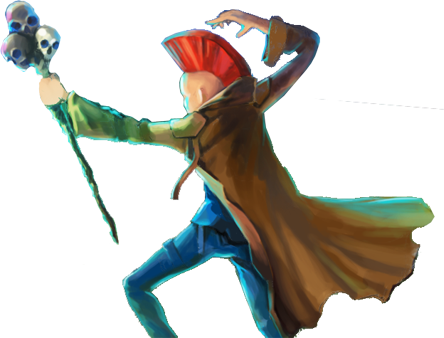 Now fortifies with equipment, skills, and familiars, the players begin the Battle! By drawing and cleverly playing cards from the top of their deck, players build the power needed to defeat monsters and acquire trophies with each turn. 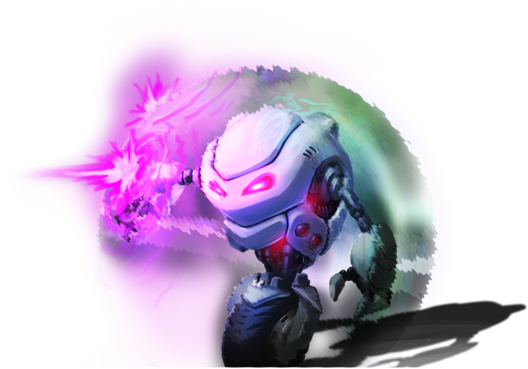 During play, unneeded cards can be thrown away and powerful new cards added to make each player's deck the best it can be for the final showdown. 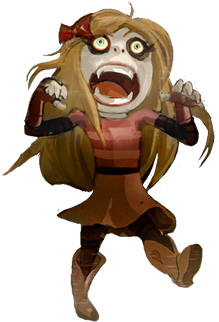 Work together to defeat the mighty boss at the heart of the monster invasion and save Arthursburg! Deal each player five Practice Swing cards and one Explore card. Deal each player two secret quests, and place two on the final boss. Deal each player two SUPER cards, and place two on the mini boss. One of these will drive the players' strategy in the Battle. Draft thirteen cards to make a unique deck. Players place one SUPER card on the mini boss, and one secret quest on the final boss. Visit a safe location to prepare. Scout Arthursburg to see if any type of monsters are Overrunning. Play all the cards you can to power up! Anything left in your hand is discarded at the end of the round. Move to and battle all monsters at a location. Collecting them as trophies. Fortify locations with Blanket Forts to prevent new monsters from invading. Making the location available next round for the preparation phase.